These days, you can spend less than £100 and bag yourself a digital camera that takes good photographs. So is there a point to a compact digital camera that costs three times as much? Well, yes. 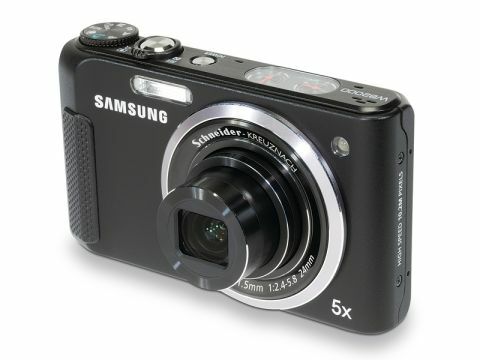 We've become real fans of Samsung cameras, and this model has only bolstered that feeling. It looks beautiful, it's slim and well-built, and, most important of all it takes terrific photos. It also shoots beautiful video. It's only in the last year that compact cameras' video abilities have been anything more than a product marketing check-box, but how far we have come! The WB2000 shoots full HD (1080p) video, which is stunning. Even better, you can shoot a full-res still even in the middle of recording video. There are a few high-speed video options too, which, when played back, show the action in slowmo, but you'd do well not to get too excited about them; even at the fastest, 240FPS option, video size and quality drop dramatically. The ability to shoot in raw as well as JPEG is welcome, and makes the WB2000 handy for SLR-toting photographers who might not want to lug their full kit around. However, iPhoto, Aperture and Lightroom currently don't support the WB2000 raw. Handling is generally good, and we like Samsung's menu system. But we struggled to remember there was a separate 'shutter' for video, plus the shooting mode button is confusing.